The Skating Club of New York hosts the 93rd Middle Atlantic Figure Skating Championships September 6-9, 2018 at Sky Rink. It is the longest continuously-run figure skating competition in North America, older even than Nationals. It is also one of the largest and most popular competitions in the nation, with events spanning two rinks for four full days. It draws skaters and officials from all over the world and has been a proving ground for dozens of eventual national and international champions. Mids depends 100% on club volunteers and needs your help! Please check your calendar and volunteer whatever time you can. It is a golden opportunity to watch some fabulous skating up close, and to contribute to the club we all love. For high school and middle school students, it is a great way to earn community service. Please download the attached fillable PDF form, fill in the fields, then send the saved filled-in copy to mail@thescny.org. Alternatively, just send an email to the same address describing when and how you'd like to volunteer. We will get back to you during the next couple weeks about your tentative assignments. Thank you for your assistance! The 93rd Annual Middle Atlantic Figure Skating Championships are approaching. Space is limited so register today! Don''t miss out on the excitement. Registration ends August 11th 16th. Celebrate the 2017-18 season with good friends and club officials! Bid farewell to members graduating from high school and congratulate those who passed a gold test this year! $25 for Adults and $20 for under 18 after May 15th and at the door. The twenty-fourth annual U.S. Adult Figure Skating Championships concluded Saturday, April 14th in Marlborough, Massachusetts. Thirteen skaters attended from the Skating Club of New York, competing in eighteen events, winning medals in six. Congratulations, all adult skaters! Narrowly missing the podium were fellow SCNY members Tanya Tamarchenko, Stephanie Hao, Kenneth Yin, Fredda Monn, Fortunata Barone and Alexandra D'Agostino. 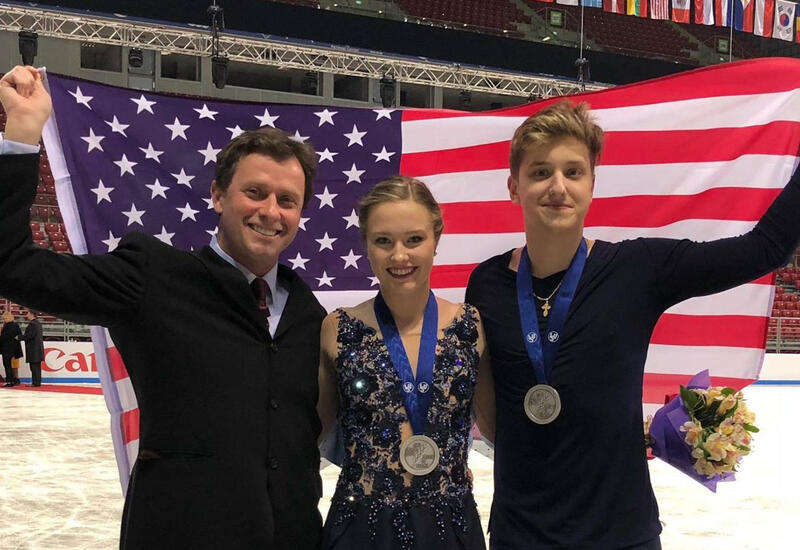 The Skyliners returned Sunday from the 2018 U.S. Synchronized Skating Championships in Portland, Oregon with TWO NATIONAL TITLES — gold in Junior and Novice — plus SILVER MEDALS for Senior, Intermediate and Juvenile. We are so proud of every SCNY team and skater! 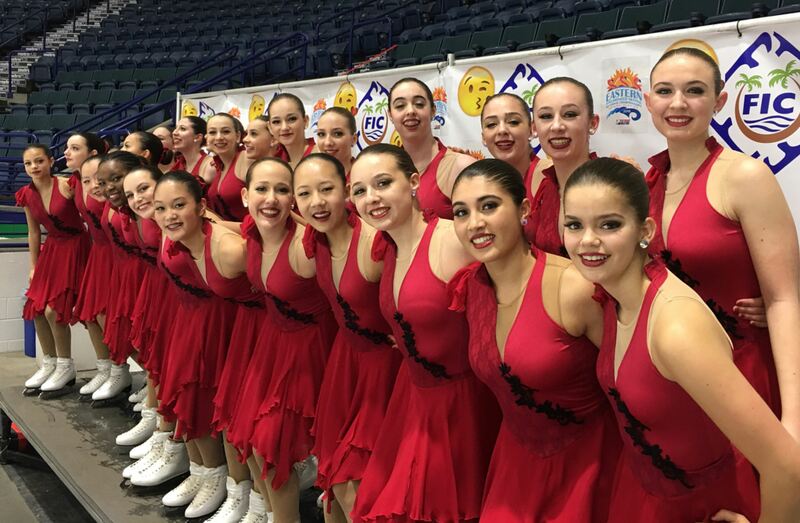 Skyliners Senior and the Haydenettes head to Stockholm, Sweden April 6-7 as TEAM USA 2 and 1 for the ISU World Synchronized Skating Championships. Skyliners Junior and the Lexettes head to Zagreb, Croatia March 16-17 as TEAM USA 1 and 2 for the ISU World Junior Synchronized Skating Championships. Good luck, US Synchronized Skating World Team! The Skyliners 2017-18 senior line is the 2018 US Synchronized Skating silver medalist and member of the US Synchronized Skating World Team. The line won the 2018 ISU Cup of Berlin, 2017 Anaheim Open and 2017 Richard Porter Classic. It won silver at the 2018 ISU Mozart Cup in Salzburg, Austria and is a three-time US national bronze medalist (2015-17). 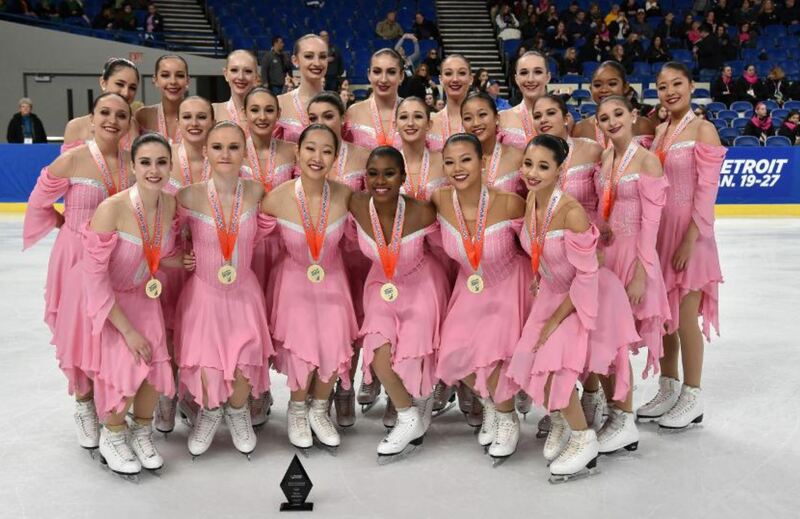 The 2017-18 Skyliners junior line won the 2018 US Synchronized Skating Championships, 2018 ISU Cup of Berlin, 2017 Anaheim Open and 2017 Richard Porter Synchro Classic, and won silver at the 2018 French Cup. The line is a four-time national champion (2011, 2015, 2017, 2018) and placed fourth as USA TEAM 1 at the ISU Synchronized Skating Junior World Championships in 2016 and 2017. 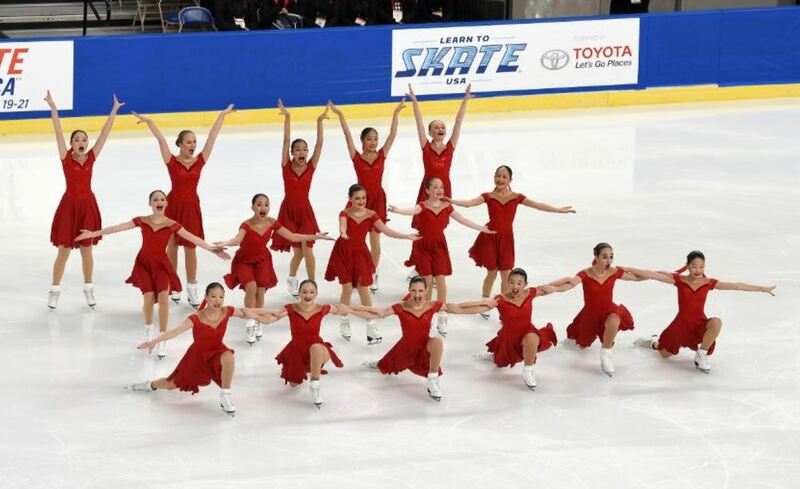 The 2017-18 Skyliners novice line is the 2017 and 2018 US Synchronized Skating champion. The team won gold at the 2018 Colonial and 2017 Boston Synchro Classic, silver at the 2017 Dr. Richard Porter Synchro Classic, and bronze at the 2018 Eastern Sectional Championships. The Skyliners novice line is a two-time national champion (2018, 2017) and three-time national bronze medalist (2015, 2014, 2013 and 2011). 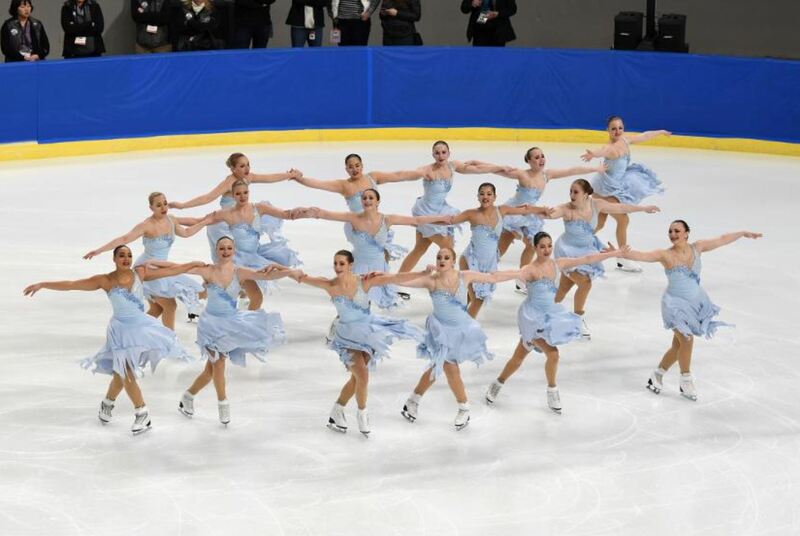 The Skyliners 2017-18 Intermediate line is the 2018 US Synchronized Skating silver medalist. The line won gold at the 2018 Eastern Sectional Championships, 2017 Richard Porter Classic and 2017 Boston Synchro Classic, plus silver at the 2018 Colonial Classic. The line won Nationals in 2016 and 2017. 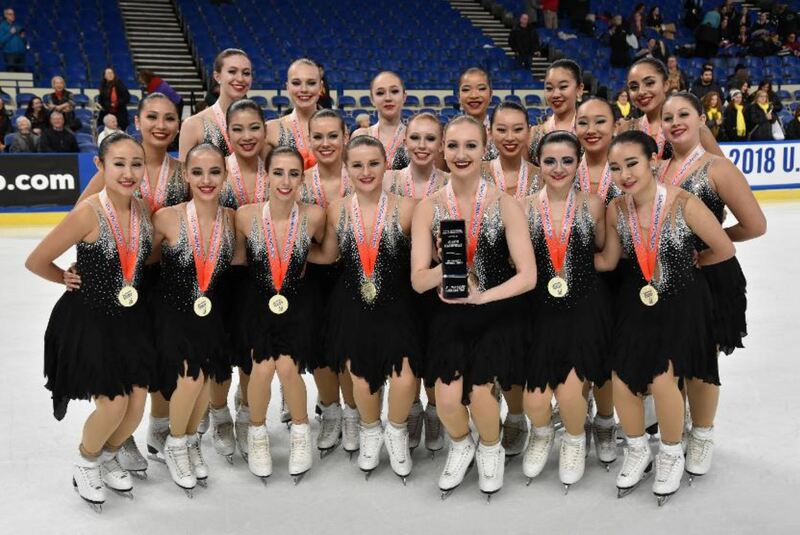 The 2017-18 Skyliners Juvenile line won silver at the 2018 US Synchronized Skating Championships, gold at the 2018 Eastern Sectional Championships, 2017 Terry Conners Open and 2017 Boston Synchro Classic, and silver at the 2018 Colonial Classic. Skyliners Juvenile has won four Nationals titles (2011, 2014, 2016, 2017) and Eastern Sectionals eight consecutive times (2011-18). It has placed first or second at Nationals for nine consecutive years. Nine SCNY members participated in twelve events at the 2018 Eastern Adult Sectional Figure Skating Championships this weekend in Ardmore, Pennsylvania. They returned with one sectional title, four silver medals and five bronze medals. 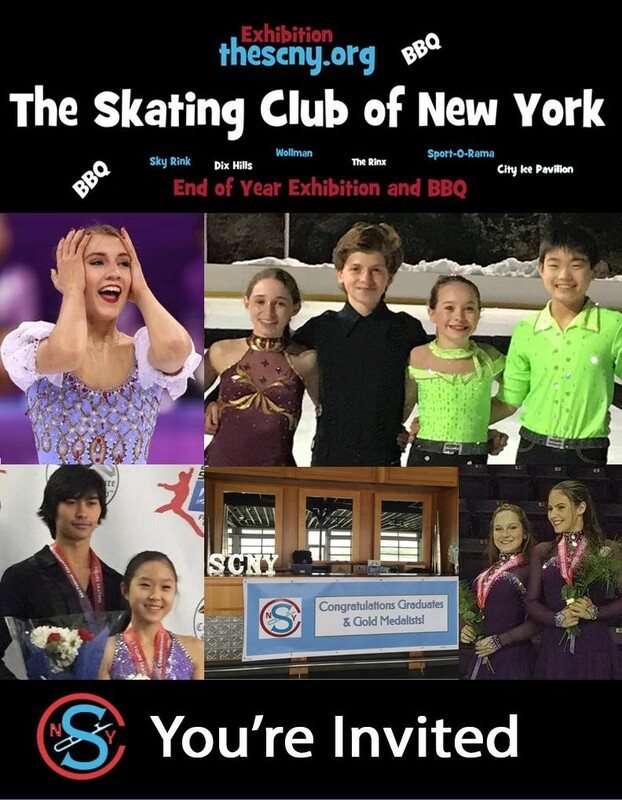 Congratulations, all SCNY skaters and good luck April 10-14 in Marlborough, Massachusetts, site of the 2018 U.S. Adult Figure Skating Championships. We are proud of you! Congratulations to our medal winners and each of our nine registered competitors!